Our constitution is a noble document ensuring a high vision of human excellence and the will of our people to establish that excellence of human dignity, freedom, and equality in our country. Our nation came to itself only when these, our tribal fellow-citizens, and the millions of our other backward communities also, are given the economic, social and cultural blessings of our freedom. Today India stands strong as a democratic political state deriving its strength from the people of India. This is a great thing in our history. Through the ages we had small states and big empires, but not one of them was founded upon the strength and consent of the people of India. They were founded on the strength of king or an emperor or a commander-in-chief we have this democracy today, the largest democracy in the world. But there are many challenges to our democracy in the world. But there are many challenges to our democracy which we have to face as citizens. The political structure has stood the test of 70 years. We are strong there; we have overcome that challenge. But we have more serious challenges to face and to solve, namely, poverty, illiteracy, exploitation and the general mood of apathy. The most glorious work that the people of India are engaged in, since Vivekananda’s time, in the listing of that heavy weight of social tyranny from the common people of India, through the steady implementation by the Indian state, and by the enlightened section of the people of India, of his message of RENUNCIATION AND SERVICE. The only valid form of inter human relationship is services and never exploitation. It is responsibility of enlightened citizenship in a free democracy that the RKMVU in seeking to shoulder and to discharge. The magazine which I have the privilege to focus today. Our attention on the problem of our fellow citizens living in the tribal areas. 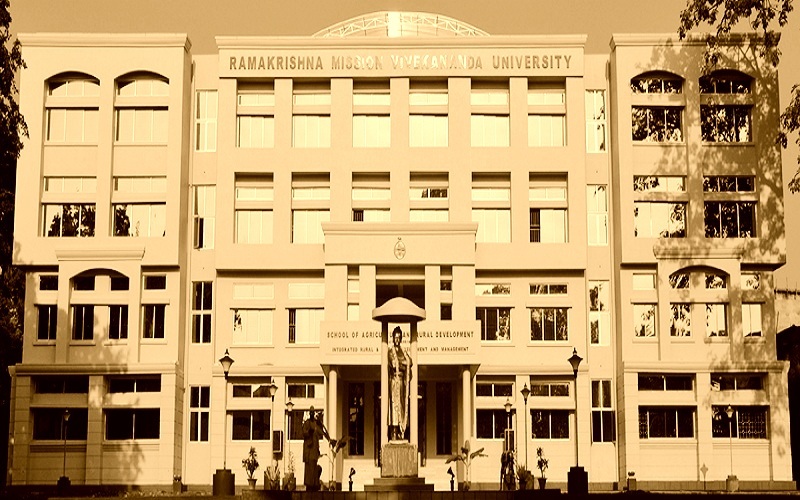 The Ramakrishna mission has been engaged in substantial educational and cultural work in Ranchi area of Jharkhand for over forty-five years. It has also been conducting hostels for tribal students in Obar, soba and Gutigara centres. The tremendous hunger for education is a very inspiring and promising feature of these tribal areas today. Many are not aware that in India the Ramakrishna mission was the pioneer organization in spreading non formal education in villages and in organizing rural housing schemes. Mission was also the first to conduct large scale relief operation as an organised body. Besides their village welfare schemes, the Ramakrishna mission also train village youths in order to make them valuable and contributing members of their communities. After training they are helped to conduct welfare activities in their villages with the assistance of the villagers, thus creating a sense of social awareness. The mission provides them with active help at the initial stage, while emphasizing the necessity of self-help projects for the social and economic uplift of the villagers. Swami Vivekananda believed in the kind of education that would enable a man to raise himself. In a letter he wrote: “All the health of the world cannot help one little village if the people are not taught to help themselves.” Keeping this in mind, the mission conduct many training centres to make the villagers self-supporting.